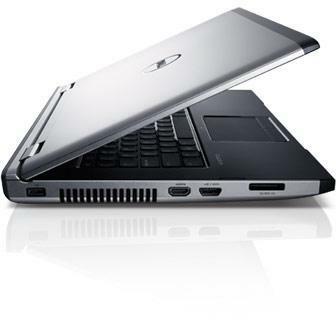 Dell has now made available its Fusion-equipped budget notebook aimed at the small business sector as part of the Vostro lineup. Called the Vostro 3555, this 15.6-inch notebook can be equipped with up to a quad-core Llano A8-3500M with integrated Radeon HD 6620G graphics, 6GB RAM, 7200RPM 500GB HDD and even a Blu-Ray optical drive. The lower-end model uses the dual-core E2-3000M processor with Radeon HD 6380G graphics, includes 2GB RAM, a 320GB HDD and a DVD burner. Regardless of customization options, the notebook comes standard with a fingerprint reader, 3x USB 3.0 ports, 1x USB 2.0/eSATA port, 8-in-1 card reader, HDMI, VGA and a 34mm ExpressCard slot. The spill-resistant keyboard can be further customized with a backlight as well. Overall, expect the notebook to weigh in at 5.45 pounds (2.475kg) with its 6-cell battery. The Vostro 3555 can now be had online starting at $459 for the base model and $649 for the high-end configuration. A review model is already in our labs, so stay tuned for a full review soon.